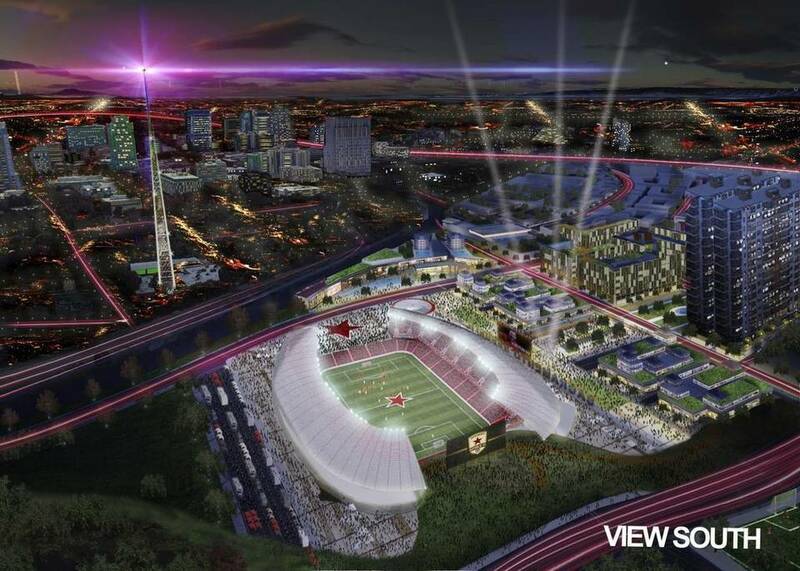 The city and county will each put in $9 million to purchase Toyota Field, an 8,000-seat soccer stadium that was built in 2013 by a local nonprofit that runs a special-needs-accessible theme park next door. For the last two seasons, it’s been home to the Scorpions NASL franchise. The city and county agreed to a 20-year lease to rent the stadium for $100,000 a year to San Antonio F.C., a new Spurs-owned team that will, at least initially, play in the USL, a different minor soccer league that (kinda sorta, depending on who you ask) competes with the NASL to be considered the second-tier league behind MLS. Eventually, the Spurs will try to obtain an MLS franchise. If this transpires, a countywide election would be held, not sooner than November 2017, to raise money for stadium upgrades. 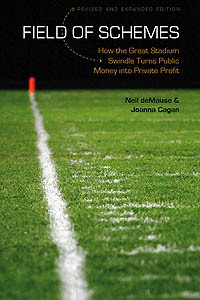 If an MLS team never arrives, the Spurs will eventually be on the hook for as much as $1 million a year in penalties. The Scorpions and Spurs have a press conference scheduled for today to explain what exactly happens to the existing team. On the face of it, this looks like a horrible deal for the city and county: In exchange for $18 million in cash, the public gets a pittance in rent (a little over $1 million total in present value), plus the possibility of maybe $3-4 million more in present value from the penalty clause. (Presumably the stadium will be exempt from property tax as well, though since it was owned by a nonprofit it didn’t pay any before, either.) If MLS does come, it gets even worse, since suddenly taxpayers would be on the hook as well for upgrades to expand the stadium to MLS capacity, which could easily amount to $100 million or more. I guess you could argue that this is the price San Antonio needs to pay to get a chance at an MLS team — except that it’s way, way more than the price being paid by Orlando and probably Minnesota and a whole bunch of other MLS expansion cities, so what up, San Antonio? …you know what? I’m going to go watch some baseball at the place with the free tickets. If there’s any important stadium news the rest of this week I’ll check in. If it’s just more MLS expansion teams, it can wait till next week. Eighteen suites accommodating up to 24 fans apiece would be added to the east side of the stadium, bringing the total number of Toyota Field suites to 32. Plans also call for three new clubs – the East Club with 130 balcony seats on the east suite level, the West Club with 40 observation-terrace seats on the existing west suite level and a Members Club at the southeast corner of the stadium. Club patrons and suite holders would be allowed to use a new entrance directly across from existing reserved parking. Other proposed enhancements include concessions, restrooms and merchandise outlets on each stadium level to efficiently meet the level of fan demand at halftime; field lighting for Division 1 network broadcasting; and a team store accessible from inside and outside the stadium. All that for $45 million seems … ambitious, let’s call it? If they can pull it off, it’s not a huge expense as these things go. But it looks like the Scorpions owners would still be asking San Antonio taxpayers to chip in an unknown amount: Five city councilmembers have pledged to pass a resolution saying they’ll “assist” in luring an MLS team, whatever that’s supposed to mean. Also unclear is whether the expansion plans would only be approved contingent on San Antonio actually getting an MLS team, which you sure hope would be the case, but you never know. In the meantime: pretty pictures!